Produced in Kent, the organisation supporting growth of small businesses and manufacturers in Kent, is celebrating its most successful year with an estimated rise in members’ turnover of a whopping £24.85million, the launch of 305 new products, 59+ awards, 509 new stockists and the employment of 378 new staff. Produced in Kent’s membership of local food, drink and craft businesses has collectively generated a turnover of £380M. Nearly all members (90 per cent) saw an increase in turnover and nearly half (42 per cent) saw an increase of as much as 50 per cent. In the last year Produced in Kent members have collectively created 378 new full and part time jobs and provided work for a further 134 seasonal workers. 70 per cent of Produced in Kent Members have found the organisation’s PR and Marketing Support to have had a significant positive impact on their businesses. Members use the organisation to gain support with their PR and Marketing, as well as networking events, introductions to suppliers or stockists, visibility in the Kent Food directories and on the website, fund-raising support, business advice, training workshops, event opportunities and special discounts and access to venues from supporting Kent businesses. “It’s been a fantastic year as more retailers turn to local producers than ever before. Our organisation is growing faster than ever with more products launched, more nationwide shops selling Kentish produce and more tourists visiting our county for its incredible breath of food, drink and artisan crafts on offers. 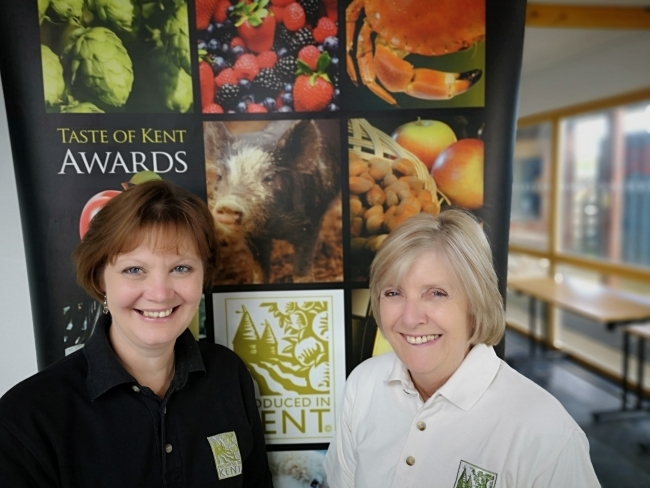 “There’s a lot going on and a lot more to do, with new members joining us all the time, the Taste of Kent Awards and the launch of a new food tourism website, Kent Food Trails at the end of September. Kent Food Trails are a series of informative publications and a website dedicated to creating bespoke food and drink focussed experiences, from day trips to weekends to whole week long breaks there is something for everyone.” Comments, Stephanie Durling, Manager of Produced in Kent. What is still to come? 55 per cent of Members plan to expand this year, 35 per cent are planning to export this year, 72 per cent have invested in new equipment or machinery in the last year. 84 per cent have launched new products or services in the last year and 35 per cent are outsourcing some of their administration.